1. 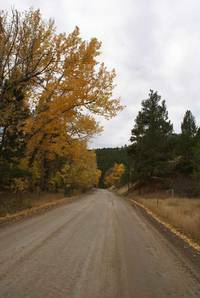 Is my road maintained by the County Road Division or a Rural Improvement District (RID)? A: Please see the attached list of roads that are maintained by the County Road Division. 2. I was told the County does not maintain my road. My road is in Lewis and Clark County so why doesn’t the Road Division maintain it? A: There are many roads within Lewis and Clark County, but not all of them are maintained by the County. The Board of County Commissioners determine which roads will be maintained with County resources. The Road Division primarily maintains roads classified as collectors or arterials, these roads carry more vehicle trips than local, low use roads. Local subdivision roads may be maintained by RIDs, homeowner associations, or by private property owners living along the road. 3. Why do you remove trees along the roadway? A: To improve site distance, roadway safety, and also to allow as much direct sunlight as possible on the roadway to keep it dry after a weather event such as a snow or rain storm. 4. Why doesn’t the Road Division blade the roads when it is hot and dry? A: If it is too hot and dry, blading the road only temporarily removes the potholes. The potholes and washboards, along with even more dust, will occur shortly after blading. We make every effort possible to blade the roads when the temperature and moisture are within an appropriate range. If it is too hot, using a water truck along with the blade does not insure that we will be able to keep enough moisture on the road. 5. How do I get a lower speed limit sign? 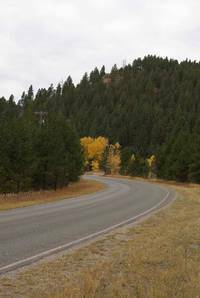 A: Speed limits are set by Montana Law or by conducting a speed study. 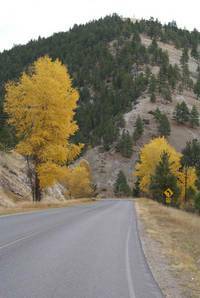 The speed limit allowed by Montana law for rural areas is 35 MPH. A speed study must be done to establish a speed limit other than 35 MPH. 6. Do I need a permit for a new driveway or approach onto a public road? A: Yes, a permit is required and there is a $150.00 fee for the permit. Each proposed approach is inspected for safety and drainage. You can get the permit by contacting the Permit Coordinator in the Planning Department at (406) 447-8392. 7. Can I get a "dust control application" put on my road? A: Yes. The County does not pay for the dust control product. If available and needed, the County will blade and water the road for the contractor you hire to spray the dust control product. A permit is required at no charge. You can get the permit by clicking here or by coming to, or calling the Public Works Road and Bridge, 3402 Cooney Drive, Helena, MT 59602, (406) 447-8031. 8. Does the County Road Division remove dead animals from the road? A: Yes, if it is a large animal and it is in the roadway we will move it off. 9. Can I shovel or plow snow on to the County Road? A: You should not push any snow on or across a County Road because it can present a serious traffic hazard to motorists. 10. Why do you pull the ditches when you grade gravel roads? A: This cleans the in-slope and the ditch of vegetation, which aides in drainage. 11. A snowplow knocked down my mailbox. When are you going to replace it? A: The Road Division's policy is to replace mailboxes that have actually been hit by the snowplow; however, if the mailbox or post was broken off from the force of the snow coming off the plow blade, we do not replace or repair it. 12. How close to the road can I put landscaping, fences and other fixtures. A: Normally the distance is 30 feet from the center of the road. Depending on which road you live on, there maybe exceptions to this. Please call the County Road Division at (406) 447-8031 to see if the distance is 30 feet or something different for your road. 13. How can I get my road graded? A: Call the County Road Division at (406) 447-8031, we will respond as quickly as we can. However at times road grading must be postponed do to weather. If the road is too dry or too wet, grading has little affect on the road, other than to rearrange the dust or mud. 14. Can you put speed bumps on my road to slow down the traffic? A: No. The control of speeding in residential neighborhoods is a widespread concern and requires persistent law enforcement efforts. Speed bumps may become a real problem when we try to remove snow. 15. How often is my road graded? A: Several factors determine how often a gravel road is graded. The volume of traffic, speed of traffic and weather conditions heavily affect the condition of a road. Washboards and potholes typically occur on curves and near stop signs. Reduction of speeds and slower acceleration can help reduce the washboards in those areas. The County Road Superintendent, who is responsible for grading will periodically check the condition of your roadway and will schedule the appropriate maintenance. 16. Who do I call for pothole repair? A: Please call the Road Division at (406) 447-8031. We will only repair potholes on County-maintained roads. 17. Who is responsible for the culvert under my driveway? A: The landowner is responsible for the maintenance and replacement of a culvert under their driveway.